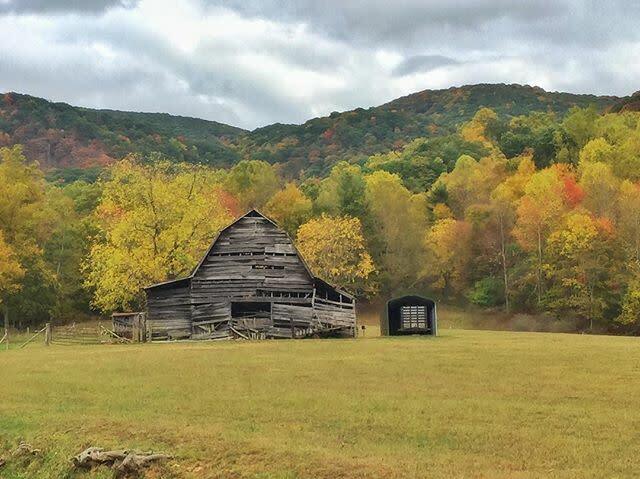 Fall has arrived in western North Carolina! Our Instagram, Facebook, and Twitter fans have been out taking incredible pictures. 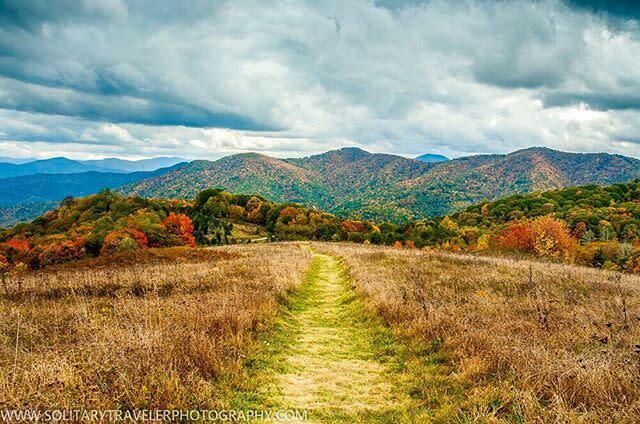 They&apos;ve kindly shared their photos with us using the hashtag #VisitAsheville. 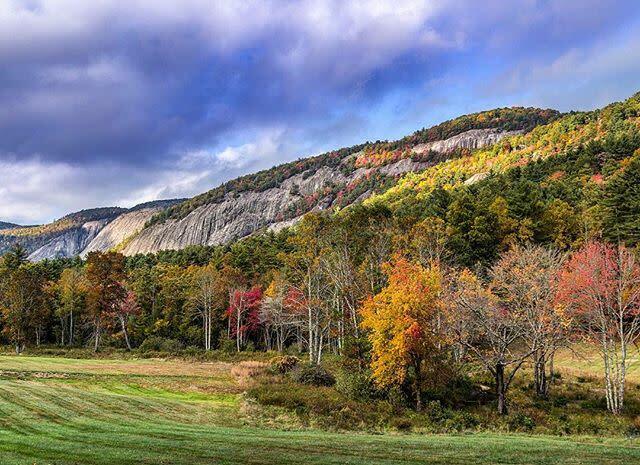 Out of their beautiful images from the past weekend (October 14-16, 2016), we have created a photo tour of the mountains to show what some of the landmark spots are looking like right now. 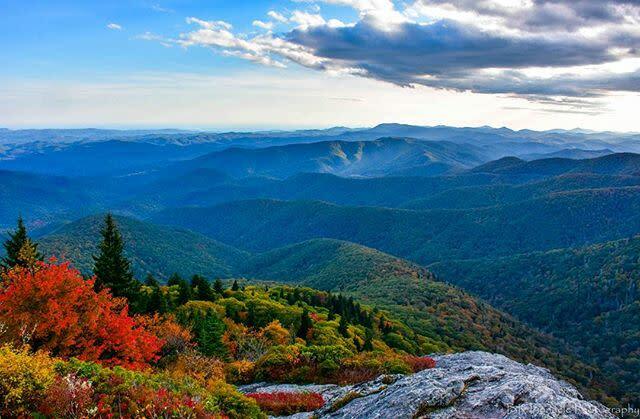 Asheville enjoys one of the longest fall color seasons in the world thanks to the variety of elevations and tree species. 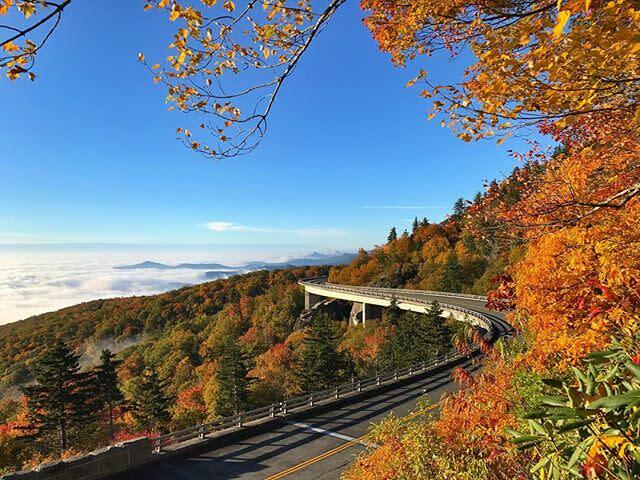 At any given time between late September and early November, at least one area close to Asheville will be showing its strongest color of the season. We hope you enjoy the tour and then check back on Thursday when we will share our weekly fall color report! 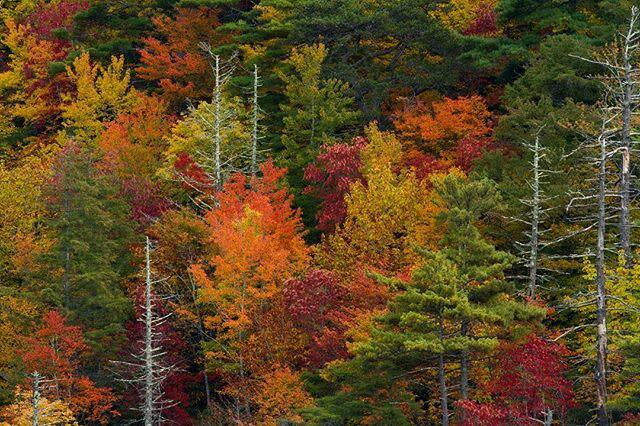 Fall color is plentiful at Grandfather Mountain (Elev. 5,945&apos; at highest point), seen here from the Blue Ridge Parkway near milepost 305. Photo by @johnhouston86. The view from Craggy Pinnacle (Elev. 5,817&apos;). A hike of less than a mile from the parking area just past the Craggy Gardens visitor center leads you to this spot. Photo by @hunterward_photography. Waterrock Knob (Elev. 6,293&apos;) is known for its sunsets but also has a beautiful autumn display each year. Photo by @scott_ramsey_photography. A one-mile hike through a high-elevation forest takes you to Devil&apos;s Courthouse (Elev. 5,720&apos;), which is near milepost 422.4 along the Blue Ridge Parkway. 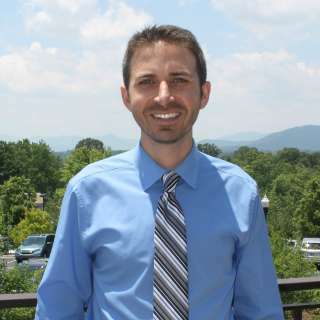 Photo by @wncwaterchild. Beautiful vistas abound at Purchase Knob (Elev. 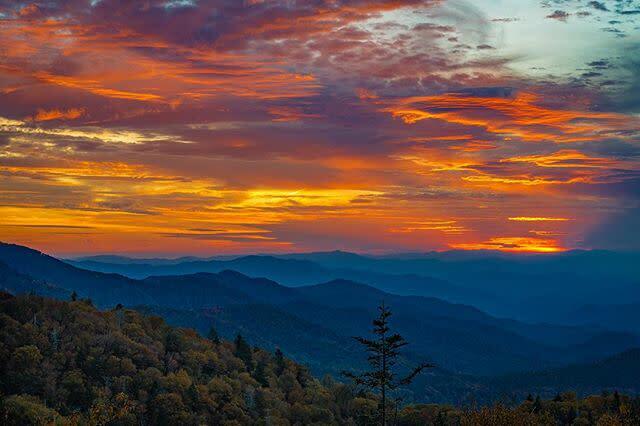 5,086&apos;), a relatively new addition to the North Carolina side of Great Smoky Mountains National Park. Photo by @solitarytravelerphoto. An engineering wonder, Linn Cove Viaduct (Elev. 4,100&apos;) was completed in 1983 and features 153 segments. Photo by @pmarlin. Every shade of fall color is visible now from Erwin&apos;s View (Elev. 3,360&apos;), one of several overlooks at Linville Falls off of the Blue Ridge Parkway. Photo by @westernnc. Lonesome Valley (Elev. 3,200&apos;) and surrounding Panthertown Valley are often referred to as the Yosemite of the east. Photo by @jared_kay. N.C. Highway 209 connects Lake Junaluska with Hot Springs. 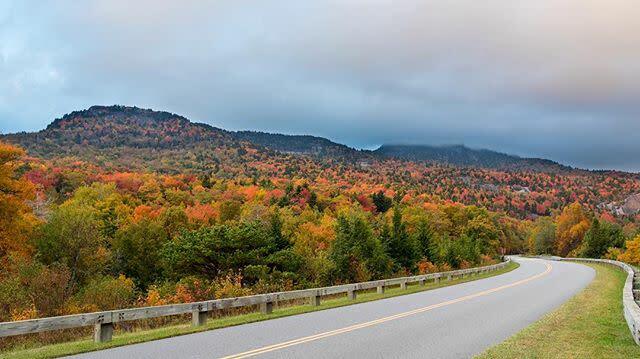 This scenic byway reaches elevation 3,985 feet at its highest point. Photo by @jennifermeskphotography. 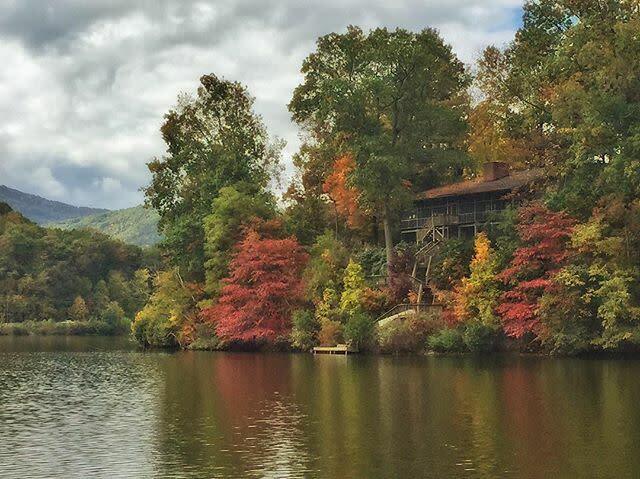 Colors are just beginning to show in the trees along the shore of Lake Junaluska (Elev. 2,500&apos;). Photo by @jennifermeskphotography. 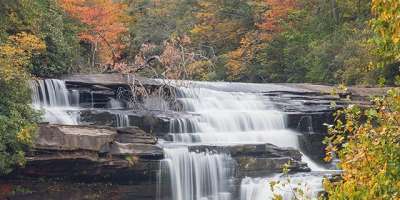 A popular spot throughout the year, Triple Falls at DuPont State Forest (Elev. 2,200-3,500 feet) was featured in the movie, "The Last of the Mohicans." Photo by @radiotot. 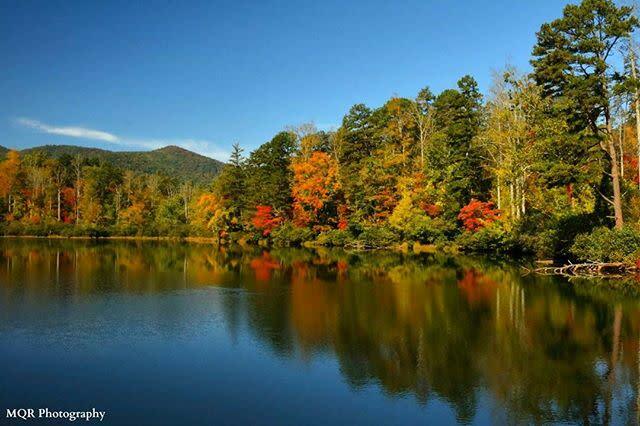 Just 20 minutes from downtown Asheville, Lake Powhatan (2,100&apos;) is a highlight of the Bent Creek Experimental Forest. Photo by @mqr.photography. 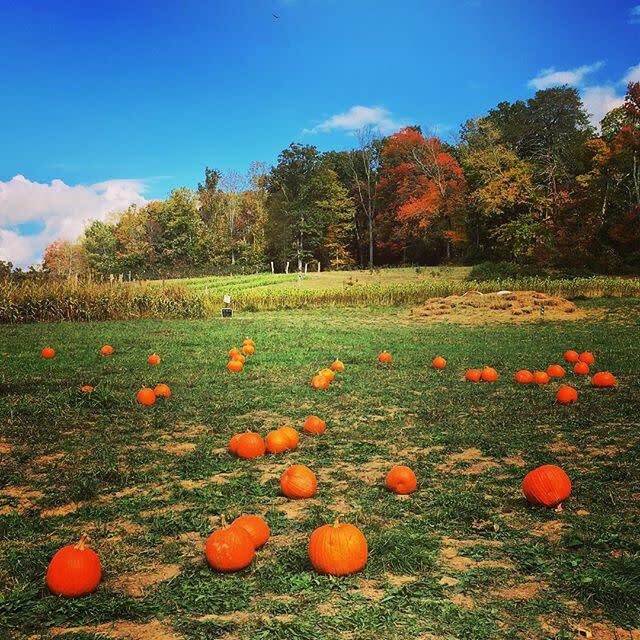 Hickory Nut Gap Farm is still awaiting the full autumn color show but has gotten in the season spirit with pumpkin patches, a corn maze and more. Photo by @ashevillencrealestate. 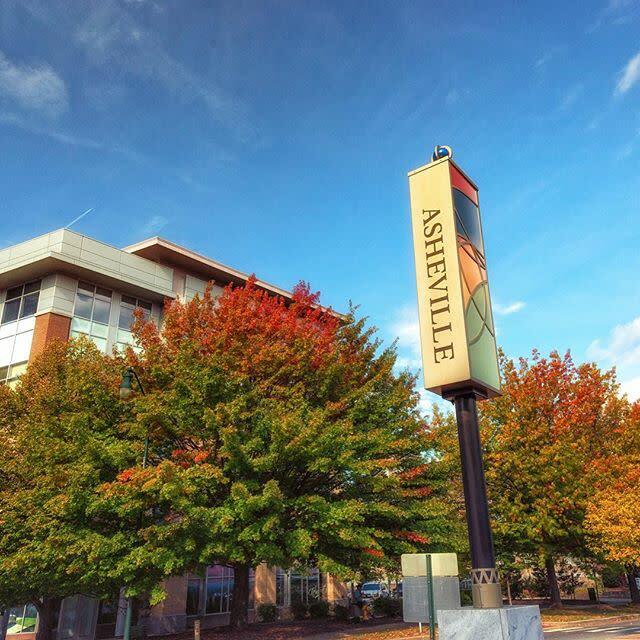 The city of Asheville (Elev. 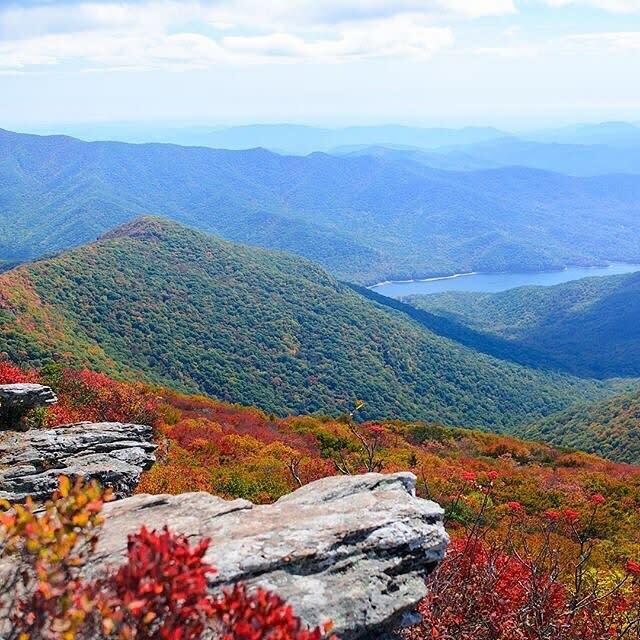 2,134 ft.) typically sees the strongest fall color in the last week of October and first week of November. Photo by @marcus3877. 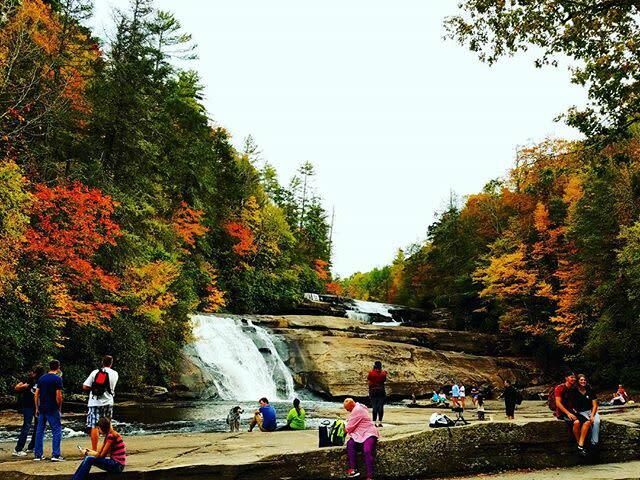 Top photo of DuPont State Forest by @shal_sharma.